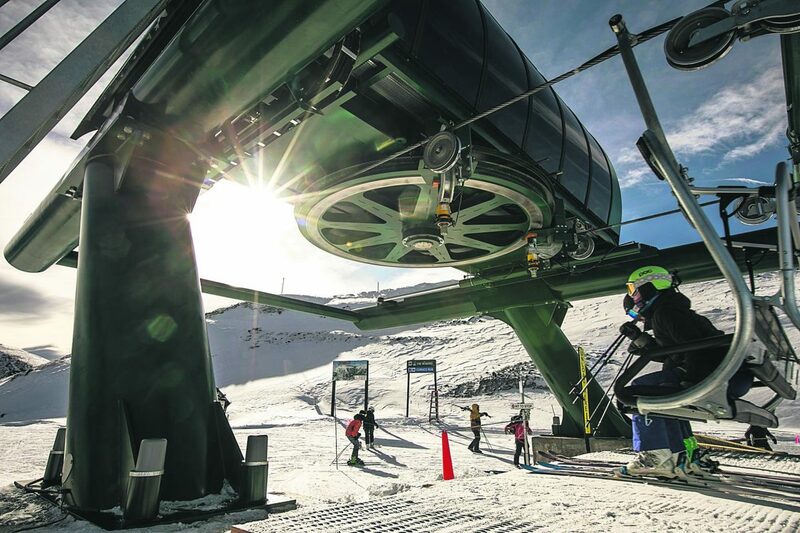 Skiers hop off the new Beavers chairlift near Snow Plume Refuge on Tuesday, Nov. 27, at Arapahoe Basin Ski Area. The new quad chairlift expanded lift-service to 339 acres of the the ski area's 468-acre expansion into the 34 new runs that comprise the Beavers and Steep Gullies. A skier rides on the new Beavers chairlift with the Gore Range mountain Red Peak in view in the background on Tuesday, Nov. 27, at Arapahoe Basin Ski Area. The new quad chairlift expanded lift-service to 339 acres of the the ski area's 468-acre expansion into the 34 new runs that comprise the Beavers and Steep Gullies. 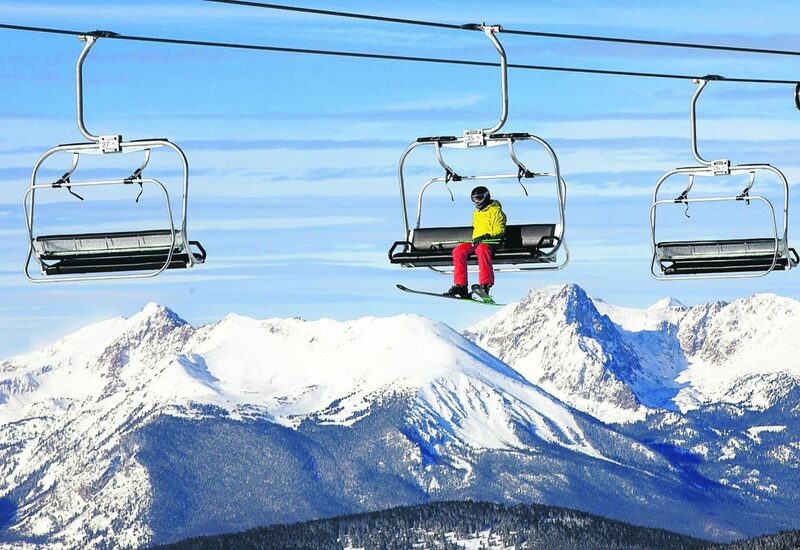 With a rope drop above treeline on Monday, A-Basin opened up its new 4-person Beavers chairlift. In turn, masses of the public for the first time had access via lift to the ski area’s playground to the west of what, until a year ago, was A-Basin’s westward boundary. Inside, skiers and riders can now drop-in from near the Snow Plume Refuge into intermediate or advanced above-treeline terrain before choosing between an option of intermediate and advanced treed runs to the bottom of the new quad lift. There, the new Beavers chairlift will spin skiers and riders back up to the ridge adjacent to Snow Plume Refuge. All in all, conditions permitting, skiers and riders can expect return service at the bottom of the 339-acre terrain expansion into the Beavers from 9 a.m. to 3:15 p.m. daily through the rest of the season. Skiers and riders again for the second season in a row will have hike-back-only access to the remainder of A-Basin’s 468-acre expansion, into the Steep Gullies. The terrain, which is regarded as some of the most advanced and challenging terrain in Colorado, will open as soon as conditions permit, A-Basin said on Sunday. At the bottom of the Steep Gullies, skiers and riders using this terrain will be required to take a 20- to 30-minute hike back to the bottom of the Pallavicini Lift, which A-Basin opened for the season on Saturday. On his blog on Tuesday, A-Basin chief operating officer Alan Henceroth said the two intermediate runs in the Beavers, Loafer and Davis, will be groomed on a regular basis. On Tuesday, A-Basin had six of its nine lifts and 56 of 145 runs open, including 57 percent of its intermediate, 38 percent of its advanced and 19 percent of its extreme terrain. A-Basin has yet to open up terrain in Montezuma Bowl or along its East Wall.